Corrina is a junior majoring in Economics. She writes about movies and art because no one will listen to her rant about Game of Thrones anymore. If Beale Street Could Talk is a paradox. It is a beautiful movie about ugly realities. It is light enough to take flight and simultaneously weighed down. It should be an ordinary love story of two young people, but it also can’t be because those two people are black. And it is a movie of extraordinary substance, but only sometimes. So, I loved it, but only sometimes. One of the most significant paradoxes, is how the film can feel incredibly focused and far too broad with its characterization. This is especially true for Tish (KiKi Layne) and Fonny (Stephan Lane), the couple around which the film (and occasionally the camera) revolves. Tish is newly pregnant. Fonny is newly imprisoned. It is a story that feels sadly inevitable. So even as Tish holds out hope for her beloved’s return, we watch with a sense of doom. They are beautiful outlines, walking down the street, hand in hand. Brightly blue and yellow clothing against the concrete sidewalk, you want to follow their silhouettes forever. But that’s all they are. Outlines. They never feel shaded in because so many things, their personalities, their histories, feel like afterthoughts in the narrative. Instead, they are constantly overshadowed by racist, societal forces that refuse to see them as people. And ironically, neither can we. Though, Barry Jenkins certainly tries. His humanist style is apparent in every shot. When his camera focuses, really focuses, on Tish’s and Fonny’s faces, the lack of explanatory detail is utterly insignificant. Their eyes seem to contain a depth that is voiceless, a meaning that is inexplicable. When the score starts thrumming and the camera sweeps across a brick New York street, the feeling grows until it encompasses everything. Those overwhelming moments don’t by themselves, make the film incredible, but it certainly impresses upon you the importance of every moment. Time slows down, each passing moment agonized over, a memory in movement. For Tish and Fonny, after all, time is of the essence. Separation by prison glass makes every second precious. Seconds before Fonny is led away to a place where even Tish’s love cannot reach. Seconds before their time together is a distant memory. The film’s greatest accomplishment, though, is forming characters around the Tish and Fonny so their relationship never becomes claustrophobic. In that way, the movie emphasizes familial love as much as romantic much to its advantage. Unlike Tish, her parents have long seen the world as it is. So, their happiness at the imminent birth is both incredibly joyous and a cautious projection. Regina King as Tish’s mom stands unwaveringly in her role, her eyes swimming with hidden vulnerabilities. And as Tish’s father, Coleman Douglas is a pillar of strength, going so far as to sell stolen merchandise to support the increasingly heavy fees for the lawyer. Every moment that the world crumbles, there is a willing hand, reaching out to take on another burden. 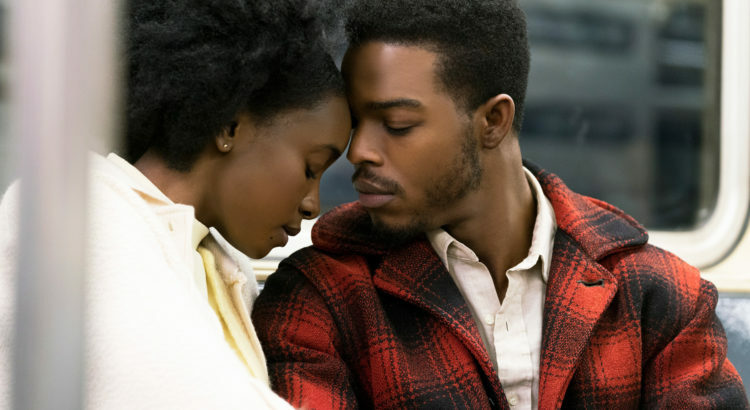 A love story above all, If Beale Street Could Talk wanders in a world of color without ever hesitating to explore the dark corners. It is, after all, in the hidden spaces where love blossoms best. In a cramped apartment room where Tish and Fonny finally connect. In a family home, where the celebration for a new member begins with a toast. In these places, there can be no police interference or shady justice systems. In these places, love triumphs. Some movies just leave you wondering: “Why?” That is all I remember thinking as I exited the theater following the film Vox Lux. Never has anything, not even my final exams, left me with such a general air of confusion. And most bewildering of all, it might have been intentional! 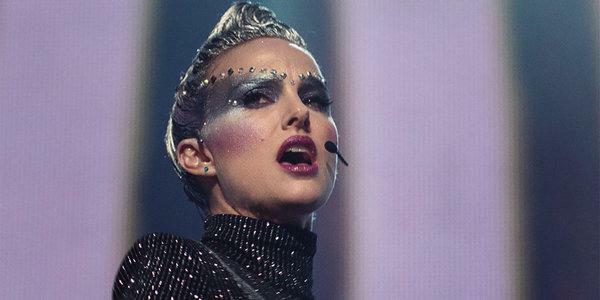 Vox Lux stars Natalie Portman as Celeste, an aging pop star. But even that might have been a sort of false advertising. For the film begins when Celeste is still a teenager, portrayed by Raffey Cassidy. Her career begins then, under the shadow of an enormous tragedy, a school shooting. Perhaps, it was the depiction of that tragedy that decisively turned me against the film. It was senseless and horrifying. Worst, it felt as if the movie was exploiting the chilling nature of the event to send a message. Whatever that message, I was certainly not ready to hear it, much less understand it. This certainly obscured one of the best parts of the film, which was Cassidy’s performance as young Celeste. I was always left wondering what she was thinking. Alternatively, she acted her age and then well beyond her years. Contributing to this, was her odd demeanor, calm when she should be tense, prepared when she should be caught off guard. Celeste was a constant enigma that never ceased to intrigue me, at least when Cassidy was playing her. Perhaps the greatest disappointment, then, was Natalie Portman’s performance. Whatever subtlety was created in the first few acts of the movie was completely lost by these last few parts. In fact, there seemed to be little connection between the two, which contributed to the overall lack of cohesiveness in the film. This adult Celeste has been jaded by years of public performance and has, at least outwardly, left the past behind. She is always looking to cover up her messes and make everyone as forgetful as she is. This is the philosophy that the film espouses best. The film, itself, wants to move as quickly as possible. It blurs everything together into a hyperactive montage of images. When there is so much information, none of it will matter. It is a cynical stance that this film takes. But it is a cynicism about the 21st century that means nothing because we are no longer invested in any of the characters nor the world they inhabit. We don’t know what they want because they strive for nothing. We don’t care. Celeste doesn’t care. There is simply no weight in the film at all. Vox Lux is frenetic mess that sprints through scenes but ends up nowhere at all. Maybe that is exactly where it wanted to be? Most of the movies that I watch are sharply split between the hero and the villain. Bad movies, to me, are ones that shovel viewers to one side. You have no choice but to support the hero against a one-dimensional, mustache-twirling bad guy. Good movies allow me to understand the villain, even sympathize with their cause, before ultimately siding with the hero. But the great ones mess with that divide instead. These films make picking sides difficult. These films make things complicated. I have watched a lot of good, a couple of bad, and only one great movie in 2018. I squirmed through, was hypnotized by, and ultimately loved Burning. The protagonist of the film is Jong-su (Ah-in Yoo). Recently graduated from college, he moves not with nervous excitement of a newly independent adult, but with a blank-faced neutrality. After all, there is little to be passionate about. He works small, insignificant jobs around the city while he chips away at a novel. He dreams of being a novelist, he is stuck being a laborer. He seems to tread into each scene, carefully evaluating each situation, revealing little. The movie, too, is reluctant to show too much at once. Each detail is another pop of color on an expanding portrait. It is not, perhaps, until the very end when Jong-su becomes fully realized. And that moment of realization, is absolutely stunning. But, of course, before that finale, there is an entire film of radiating unease. When Jong-su reunites with his childhood friend, Hae-mi (Jong-seo Jun), he is instantly enamored. But like much of the rest of the film, their relationship feels a little unmoored from reality. At first, Jong-su does not even recognize her face. She claims its plastic surgery. Secretly, you wonder if there is something she is hiding under her brilliant smile. There are constantly pieces missing, each adding to the waves of unrest. As much as the film reveals, it also keeps certain elements unknown. Carefully it teeters, yet it remains perfectly balanced. After their first dinner together, Hae-mi asks Jong-su to look after her cat while she embarks on a trip to Africa. He agrees, showing up everyday to refill the emptying bowls of food and water. Mysteriously, he never sees the cat. Equally, he yearns for her return and the gleaming towers that he can glimpse from her apartment window. But when she returns, Hae-mi is already in a relationship with one of her fellow travelers, Ben (Steven Yuen). Ben has everything, and it bores him. Jong-su bristles at his nonchalance, for his beautiful apartment, for his fast car, even for Hae-mi’s earnestness. And it is easy to take Jong-su’s view. Ben’s riches seem unearned, his fortune unappreciated. Instinctively, we side with the underdog. That is what I find most brilliant about the film. It makes you question your own biases and preconceptions. Burning is reflexively thrilling. You can’t help but search for clues in the spare Korean landscape, in the guarded eyes of Jong-su, Ben, and Hae-mi. Which is the hero? Which is the villain? Where is the cat? That is only for you to determine. The problem with previewing a mystery-thriller film is that one doesn’t want to spoil the movie for oneself or for their readers. Simultaneously, I want to build anticipation for this film that has intrigued me since it was shown at the Cannes Film Festival this summer. So, I begin this preview with much trepidation and excitement. The film in question, is Burning. Directed by Lee Chang-dong, it is a Korean film based on a Haruki Murakami novel. Steven Yuen, most famous as Glenn on the Walking Dead, is Ben. Ben meets Jong-su (Ah-in Yoo) after Jong-su cat-sits for Ben’s girlfriend. It seems the men are drawn together. By fate or on purpose, it is difficult to see just yet. The film looks full of beautiful landscape, rich households, and tense atmospheres. More than that, I cannot tell, but am certainly excited to find out. Burning is currently showing at the State Theater. Tickets can be bought online or at the box office ($8 with a student ID). I arrived at the Michigan Theater, ready to do my job. It was early so I chose my seat carefully. Not too close or I would be swallowed up by the glowing screen. Not too far or I would strain my eyes trying to see the actors’ faces. Just right. The Goldilocks seat was situated perfectly between the two older men in front of me. I sat, no popcorn, of course. I was being professional. A few minutes later, the lights were dimming, and the screen was displaying the coming attractions. Twenty minutes after that, I was fast asleep. 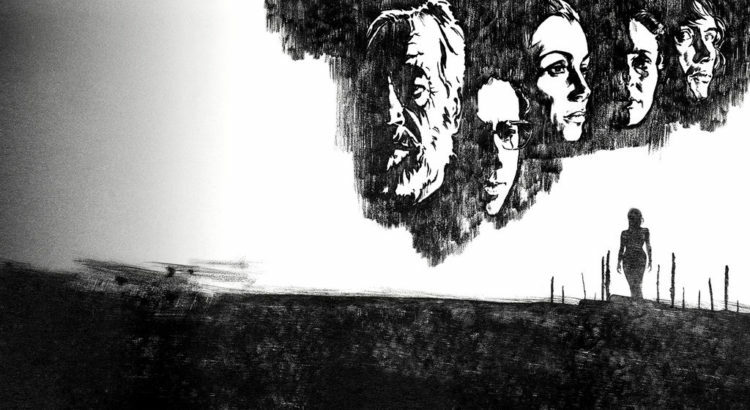 The film that I had set out to see, the same one that sent me into deep slumber was The Other Side of the Wind. It is both an entirely new creation and a relic from the past. Originally written and directed by the famed Orson Welles, principal photography for the film was completed in 1976. However, the editing process became increasingly complicated as years passed. Welles passed away in 1985, project still uncompleted. Finally, in 2018, the film was completed and released by Netflix in November. Seemingly, after this long and winding journey, I should have been entranced by this film. After all, this was the Orson Welles, the same visionary who created Citizen Kane, hailed to this day for its revolutionary use of the medium of film. This was the last project, a glimpse of fading genius. What kind of film enthusiast, what kind of movie critic was I, if I could not enjoy this film? The kind that falls asleep, apparently. Thankfully, the Michigan Theater was not my last chance to enjoy this film or yours either. You, too, can watch The Other Side of the Wind on Netflix now. It is a film that is strikingly different from most of the service’s offerings. Not to its detriment, I think. This is something altogether unusual in its form and presentation, not at all what I was expecting. The story is framed as a documentary, archiving the last day of Jake Hannaford’s life. Hannaford (John Huston) is desperate to complete his latest film, intending to comeback from years of controversy with this experimental project. The documentary incorporates scenes of his project intermittently, fully committing to the film-within-a-film-within-a-film premise. It is confusing, jumpy, and quite amusing as Welles links conversations and camera angles. He flows from character to character, scene to scene, requiring the audience to connect the cleverness and create the plot. Once in a while, he even explains things, underlining and highlighting repeatedly, until one wishes he would be less blunt again. For a sleep deprived college student, it was a little bit more whiplash than I could handle. The tone thoroughly distinguishes it from any of the more plot-driven or even character-driven films in theaters today. Welles focuses instead on creating a mood and immersing us in it as we explore the troubled life that Hannaford has created for himself. So, perhaps, I was not the perfect audience for this film the first time around. But as someone who returned to it the next day, comfortably seated before my computer, it is a great film to revisit. The Other Side of the Wind has much hidden visual depth, even narrative depth at times, but does not quite capture the interest. Art usually outlasts the artist. So, we meet the long-gone artist through the works that they left behind. But it is not often that an artist can create art from beyond the grave, especially not one as revered as Orson Welles. Welles, of course, is most well-known for his directorial debut, Citizen Kane. It is a universal praise that he never quite surpassed in his lifetime. The expectations were simply too high. Perhaps that is why it is so exciting, now, to watch an entirely new Welles creation. There is no more pressure for the film to achieve the meteoritic heights of Citizen Kane. Audiences can be content to judge The Other Side of the Wind on its own merits. Styled as a mockumentary and completed by many of Welles’ collaborators, the film centers on a director, returning from exile in Europe, to finish his movie. The film is being shown at the Michigan Theater on a limited basis from November 2nd to November 8th. Student tickets are $8 with ID. If you miss it in theaters, it will be released for streaming on Netflix on November 9th.